The board of directors of the ISSLR selected the place for the next triennial conference of the society. The next 14th International Conference of the International Society of Salt Lake Research will be organized at the University of Murcia (Murcia, Spain) in September, 2020. The detailed information about the conference will be announced later. The reason for choosing Murcia is that it is an extraordinarily rich region in inland saltscapes. It has more than a dozen inland saline environments: salt mines, hypersaline streams and, of course, it is the home to the hypersaline Mar Menor lagoon, and very close of the La Mata and Torrevieja littoral saltpans, in the nearby province of Alicante. The problems that the Mar Menor are currently suffering (eutrophication, pollution, sedimentation) will undoubtedly be of great interest to the specialized public that is expected to attend to the conference, possibly including a special session on this topic. Furthermore, the Mar Menor lagoon has several active saltpans across the border. Both Alicante and Murcia have good highway and railroad links with the rest of Spain and Europe. The Alicante International Airport lies at just 70 km. 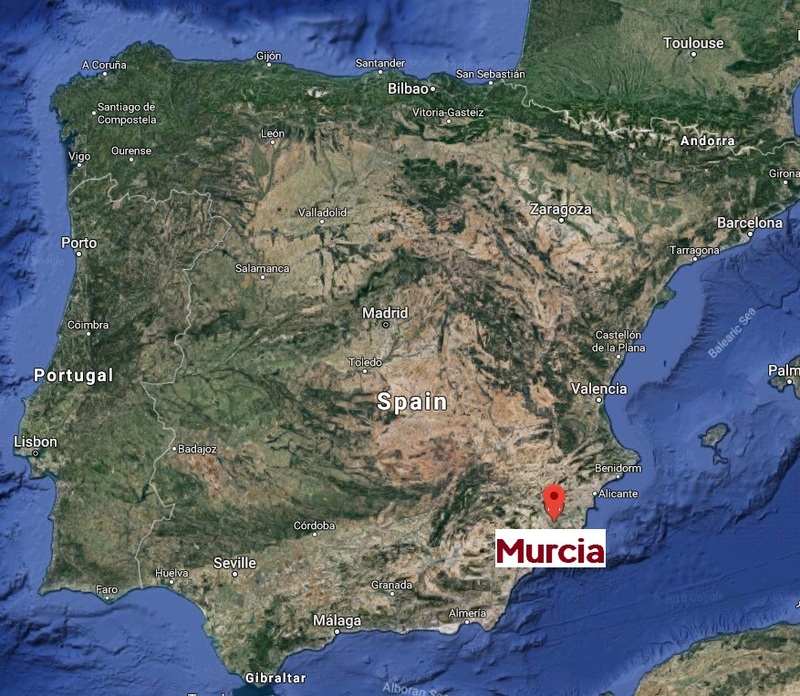 Soon (in 2019-2020), Murcia will be served by a new international airport at 25 km of the city centre and high-speed railroad that will connect the city to Madrid in just 2.5 hours. Murcia has over 443,000 inhabitants, being the largest city in the southeast of Spain, one of the most important tourist regions of the country. It has all the services needed in a mid-sized town, while being walkable, with a lively centre and plenty of places to enjoy a good meal or a drink in good company. Beaches are a short ride away from the city centre. Murcian gastronomy is rich and diverse, based among others on salted fish and orchard products and the historical presence of arabs, jews and Christians in the region. It is one of the best exponents of the Mediterranean diet, which has been recognized by UNESCO as Intangible Cultural Heritage. ACCOMMODATION Hotels in downtown Murcia. Discounts will be offered to participants in different hotels that already have agreements with the University of Murcia. OFFICIAL LANGUAGE English, with possible translation from Spanish to English in opening session. A. National Park Cabo de Gata with its coastal salinas, Tabernas beaches, former gold mining district of Rodalquilar and visit to the saline Fuentedepiedra lagoon and the salinas of La Malá. Cultural visits to the cave dwellings of Guadix, Granada with the famous Alhambra. Transfer to Alicante or Murcia. B. Inland saline wetlands of Villena, balsas de Elda, el estrecho de la Salineta, El Pinoso, Petrola lagoon, salinas of Pinilla, stay at the historical town of Villena, visit to wineries and the Elche palm forest World Heritage Site. Optional transfers to Madrid, Alicante or Murcia. This entry was posted in News and tagged #salinelake #saltlake #conference on June 10, 2018 by Egor Zadereev.